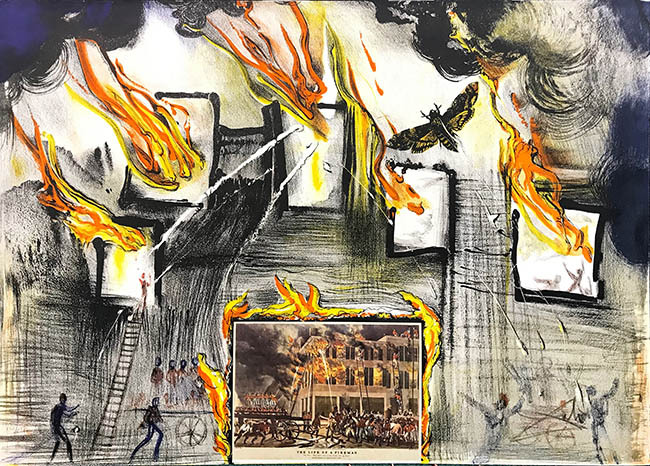 Description: Interpretation by Salvador Dali of the Currier & Ives print “The Life of a Fireman” with a color miniature of that print adhered to bottom center of Dali print. Hand signed and numbered by the artist. Artwork in excellent condition. Additional images are available upon request. Certificate of Authenticity is included. Please do not hesitate to ask us any further questions.